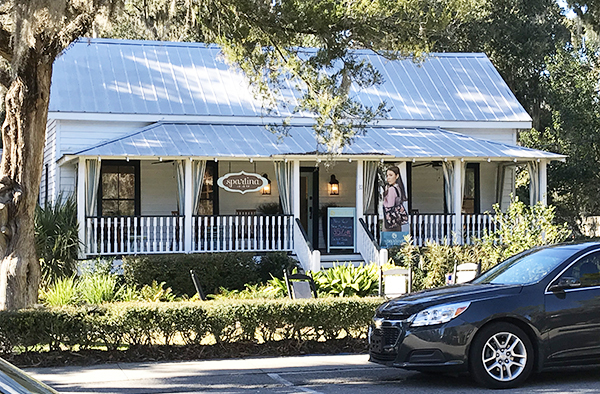 It all has to do with our coastal craftsmen, artisans and artists selling work created right here, not to mention the restaurants serving locally-sourced delights—fresh seafood, fruits and vegetables from farms right down the way—and small shops full of Southern charm and unique finds. Without all of those things, there’d be no “Bluffton State of Mind” and “The Heart of the Lowcountry” would stop beating. That’s why it’s so important to shop locally—it supports the local economy and promotes the growth of local businesses. Spending dollars locally is the blood that keeps the heart pumping. 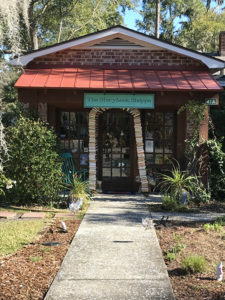 “If you spend your money at a local store, odds are they’re working with other local providers and strengthening that local network,” Emily McLeod Sulkes, the director of operations at IRMA Does Marketing and ShopMoreLocal.org, said. Infographic provided by IRMA Does Marketing and ShopMoreLocal.org. It’s a simple concept they’re trying to convey, but much harder habits that may need to be broken—the convenience factor and extra opportunities to save that big box stores offer, which small businesses can’t always compete with. However, buyers don’t have to break those habits completely; Shop More Local is starting small and encouraging locals to shift $20 of their weekly spending to a local business. Not spend $20 more, just shift $20 spent at a national retailer to a local one. “If we shifted $20 to local businesses more per week, over the course of a year it would be a 57 million dollar impact on the county,” Sulkes explained. How? Because local businesses tend to use more local resources and pay more local taxes. This keeps the money moving in the local economy, instead of it moving straight on out of town and to other big cities, where the large retailers are based or where they buy from.